Final Mamma Mia! Here We Go Again Trailer – ABBA-tastic? While it’s derided by many, Mamma Mia! is one of the most successful movie musicals ever made, grossing over $600 million. For a time it was the highest grossing movie ever in the UK, and the highest grossing movie directed by a woman worldwide. As a result it’s getting a sequel that brings back most of the original cast – although as the trailer suggests there may have been a significant death – as well as taking us into the past and just how Meryl Streep’s character ended up having three men who could have been the father of her child. Here’s the synopsis: ‘Ten years after Mamma Mia! The Movie grossed more than $600 million around the world, you are invited to return to the magical Greek island of Kalokairi in an all-new original musical based on the songs of ABBA. With the film’s original cast returning and new additions including Lily James (Cinderella, Baby Driver), the musical comedy will open in UK cinemas on 20th July 2018. ‘Mamma Mia! Here We Go Again is produced by Judy Craymer and Gary Goetzman, producers of the original film. Craymer is also the creator and producer of the worldwide smash-hit stage musical. ‘Ol Parker, writer of The Best Exotic Marigold Hotel, writes and directs the sequel from a story by Catherine Johnson, Richard Curtis and Parker. Benny Andersson and Björn Ulvaeus return to provide music and lyrics and serve as executive producers. Tom Hanks, Rita Wilson, Phyllida Lloyd, Richard Curtis and Nicky Kentish Barnes also serve as executive producers. ‘Reprising their roles from Mamma Mia! The Movie are Academy Award® winner Meryl Streep as Donna, Julie Walters as Rosie and Christine Baranski as Tanya. Amanda Seyfried and Dominic Cooper reunite as Sophie and Sky, while Pierce Brosnan, Stellan Skarsgård and Oscar® winner Colin Firth return to play Sophie’s three possible dads: Sam, Bill and Harry. While it’s derided by many, Mamma Mia! is one of the most successful movie musical ever made, grossing over $600 million. For a time it was the highest grossing movie ever in the UK, and the highest grossing movie directed by a woman worldwide. As a result it’s getting a sequel, that’s bringing back most of the original cast – although as the trailer suggests there may have been a significant death – as well as taking us into the past and just how Meryl Streep’s character ended up having three men who could have been the father of her child. Things are not going well for David Oyelowo in the upcoming thriller, Gringo. The movie has just released its first trailer, revealing what could be quite a fun film. 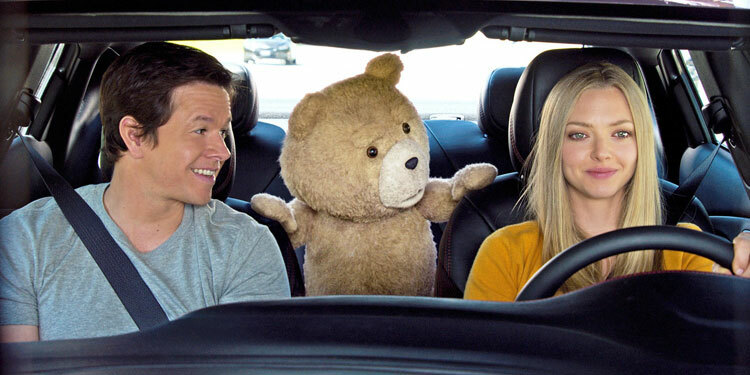 Even the makers of 2012’s Ted are unlikely to have expected it to gross $550 million around the world. It ensured Universal was keen to make a sequel, although it has to be said this follow-up wasn’t half as successful, taking $212 million around the world. Not a bad number but nothing like the first. This time around Mila Kunis is nowhere to be seen, as she and Mark Wahlberg’s John Bennett have gotten a divorce, leaving him completely lacking on confidence around women. Ted meanwhile seems to be having better luck, as he’s marrying the bold and brassy Tami-Lynn (Jessica Barth). Are you ready for more Ted? I certainly am, and from the evidence of this new trailer it’s going to be another crazy journey into a world of talking teddies and a doofus Mark Wahlberg. Noah Baumbach (Frances Ha, Squid And The Whale) is back with While We’re Young, which reteamed him with his Greenberg star Ben Stiller, alongside Naomi Watts, Adam Driver and Amanda Seyfried, for a look at a 40-something couple trying to keep hold of their youth. Stiller and Watts are the couple, plodding along in early middle-aged life when they meets Driver and Seyfried’s hipster young couple. Their ennui – Stiller’s character has spent 10 years editing a single documentary – is upended and they suddenly feel energised, but of course recapturing your youth isn’t that simple. If you need to add an extra bit of class to your movie, casting Morgan Freeman is always a good idea. 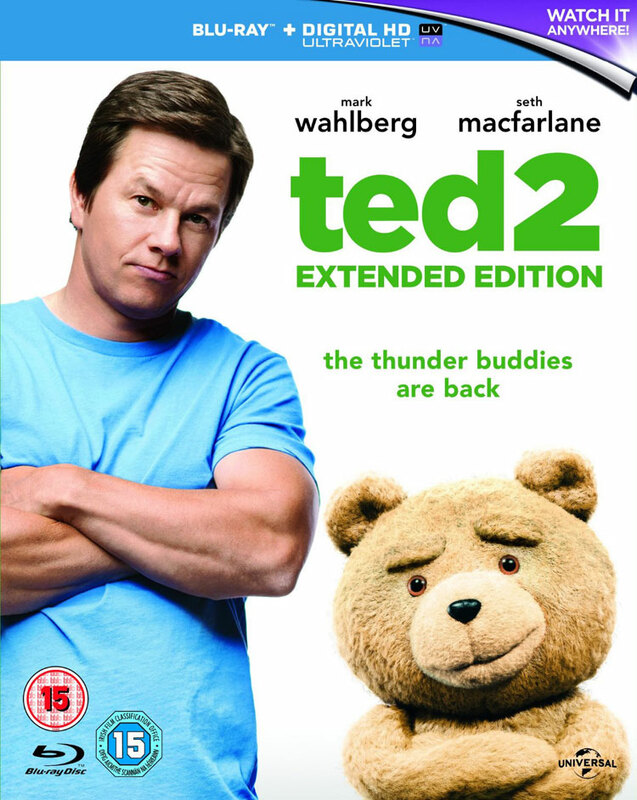 Seth MacFarlane obviously agrees as Variety reports the Family Guy creator has cast the actor in a pivotal role in Ted 2. There’s no news on the exact plot, but Freeman is being brought in to play an iconic civil rights lawyer who helps talking soft toy Ted with his legal problems. Mark Wahlberg is also set to return John Bennett, with Amanda Seyfried playing the new female lead. Mila Kunis will also be in the movie, but she’ll apparently have a much smaller role than she did in the first film. Production is already underway in Boston, with MacFarlane directing from a screenplay he co-wrote with Alec Sulkin and Wellesley Wild. It’s due out summer 2015. When Seth MacFarlane called his new movie A Million Ways To Die In The West, this trailer suggests he wasn’t joking. Indeed on this evidence it’s difficult to see how anyone survived more than a few minutes back then. It’s also just a juvenile and silly as you’d expect from the creator of Family Guy (and we don’t mean juvenile in a pejorative sense). Here’s the synopsis: ‘Seth MacFarlane directs, produces, co-writes and plays the role of the cowardly sheep farmer Albert in A Million Ways to Die in the West. After Albert backs out of a gunfight, his fickle girlfriend leaves him for another man. When a mysterious and beautiful woman rides into town, she helps him find his courage and they begin to fall in love. But when her husband, a notorious outlaw, arrives seeking revenge,the farmer must put his newfound courage to the test. It’s been announced that shooting on Pan will begin on April 28th, Warner Bros. Pictures’ live-action Peter Pan prequel, which director Joe Wright (Hanna; Anna Karenina) is helming. Along with that news comes the info that Amanda Seyfried has signed up to join the movie as Mary. Other new cast member include Jack Charles as The Chief/Tiger Lily’s father; Taejoo Na as Kwahu; Nonso Anozie as Bishop; Kathy Burke as Mother Barnabas; Kurt Egyiawan as Murray; Lewis MacDougall as Nibs; and newcomer Leni Zieglmeier as Wendy Darling. They join Hugh Jackman as Blackbeard; Garrett Hedlund as Hook; Oscar® nominee Rooney Mara as Tiger Lily; Adeel Akhtar as Smee; and newcomer Levi Miller as Peter. The offersg a new take on the origin of the classic characters created by J.M. Barrie, following the story of an orphan who is spirited away to the magical Neverland. There, he finds both fun and dangers, and ultimately discovers his destiny-to become the hero who will be forever known as Peter Pan. Shooting is due to take place at Warner Bros. Studios Leavesden in the UK, with a July 17th, 2015.